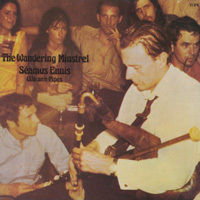 SÃ©amus Ennis was an inspiration to countless musicians around the world. He is numbered amongst the greatest Irish pipers of the twentieth century (as well as a tremendous storyteller and an inveterate folksong collector). His sole album for Topic records captured his pipe playing during a highpoint of his career and is regarded by many afficionados as one of his finest recordings.